The Canadian lawyers and right defendants protection organisation has published its latest Working Group on Arbitrary Detention, WGAD. Amongst cases of countries that have violated the rights is Mancho Bibixy in Cameroun prison. The submissions were done in responds to those of February 5th 2018 by LWRC’s Founder, Gail Davidson, Rob Lapper and Cameroon’s Bar. Nkongho Felix Agbor Balla identifying Mancho’s detention as unlawful. The organization is bent to continue pressing for the rule of law and release of the popular radio personality who reported on the suffering of Southern Cameroonians. Here is an excerpt of what the organization published on its website. 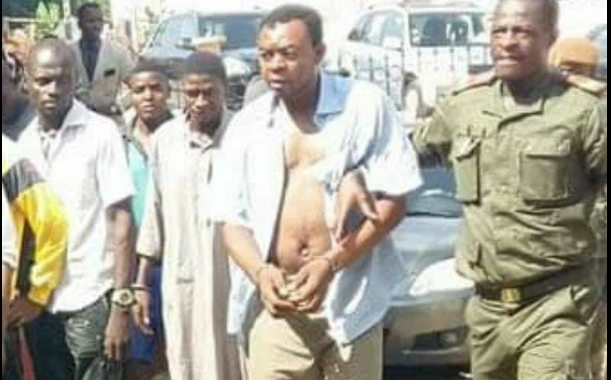 …Mancho Bibixy was convicted by a military tribunal in April 2018 and subsequently sentenced to 15 years in prison and a fine of 268 million francs CFA (408,564 Euros).He was convicted on charges of “acts of terrorism”, “secession”, “propagation of false information”, “revolution”, “insurrection”, “contempt of public bodies and public servants”, and “hostility against the homeland”. …LRWC submissions highlighted violations of rights to assembly, dissent, expression, fair trial; trial before a civilian court, legal aid, and freedom from discriminatory prosecution.LRWC also submitted that the charges violated the principle of legal certainty and the sentence failed to respect dignity and rights.